GOOD SERVICE HISTORY, MOSTLY MAZDA MAIN DEALER, MOT FEB 2020 WITH NO ADVISORIES, - Part exchange is welcome on any car, even if its worth more, or out of MOT. We can take anything in p/x - cars, vans or motorbikes. We are now open 7 days a week, 8.30am til 5.30pm Monday til Fri, 9-5 Saturday, and 11- 4pm on Sunday. We close for lunch between 1300-1400hrs mon-sat. 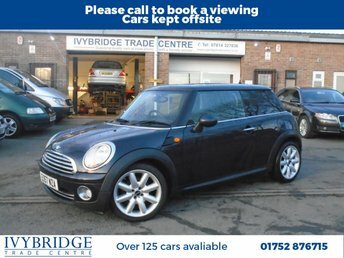 Debit card is prefered payment method, due to current very busy period occasionally some cars may not have been fully valeted or fully prepared for sale when you first see them. Although we are a trade centre we do sell to the public as well.